Hello! I need some help please! I got this beautiful Rattlesnake Calathea just a few days ago and already the leaves are curling and drying. Here it is next to a window so that you could see it better, however it is in my living room where it does not get direct sunlight. 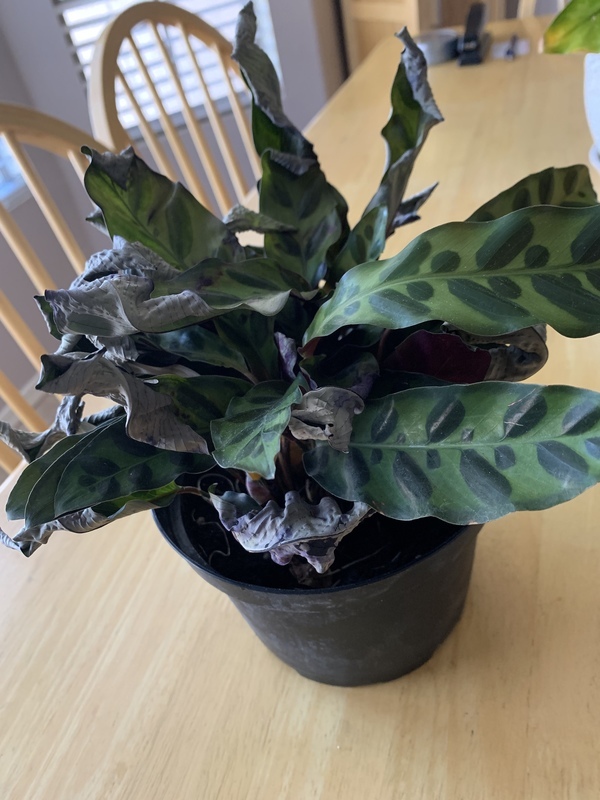 I'm so sad, as this is the first plant we have purchased that is having a hard time in our home! Any advice is appreciated. Lisa Brighter light (although not direct sunshine), and use a pebble tray to increase the humidity. I would also mist the leaves. They like to stay a bit moist and the dry winter heat dries them up. Experiment with different spots for lighting and increase the moisture in the atmosphere around it! Good luck!